Learn about where the food and beverage sector is headed. MonarchFx is perfectly positioned to help this sector build customer centric fulfillment systems. MonarchFx, a business unit of Tompkins International, is proud to announce the launch of our food and beverage sector. Over the past 20 years many retailers have had the dream of entering the food and beverage retail business. The appeal is undeniable huge revenues, repeat business, and in-store traffic. “Few industries are experiencing more disruption than grocer’s and food producers. MonarchFx is perfectly positioned to help this sector build customer centric fulfillment systems. Winners in the world of the new grocery have recognized it is not about online versus traditional stores, but rather the emergence of an entirely new shopping experience that leverage both,” stated Jim Tompkins, CEO of MonarchFx. This unichannel concept has grocery stores evolving into places to dine, taste, and explore new products combined with an online presence to continue to drive brand loyalty, research, and ordering with a myriad of delivery and pick up options. Our thoughts on this disruption and opportunity are further discussed in Tompkins’ latest video The New Grocery: Distributed Logistics. Simultaneous to the launch of our food and beverage sector, we also announce the appointment of Keith Goldsmith, Senior Vice President of MonarchFx. Goldsmith will lead customer growth for our food and beverage sector. 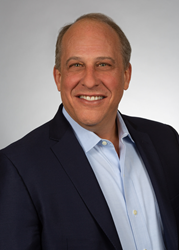 He joins MonarchFx after leadership roles as group CIO and Senior Vice President, Americas, for CEVA Logistics and more recently, Executive Vice President and Chief Commercial Officer for Americold Logistics, one of the food industries largest logistics providers. “Goldsmith has his fingerprint on some of the world’s leading supply chains and combined with his expertise in food and beverage fulfillment, he is the perfect addition to our business model,” stated Gene Tyndall, President of MonarchFx.